President Muhammadu Buhari has called on both educated and uneducated Nigerian youths to embrace farming in order to earn respect for themselves. 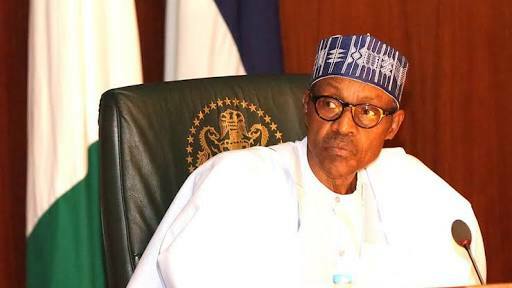 According to a statement on Tuesday by his Senior Special Assistant on Media and Publicity, Garba Shehu, the President spoke on Monday at the Blair House, Washington DC after his White House engagements with the United States’ President, Donald Trump. He was said to have spoken at a meeting with the Chief Executive Officers of six American agricultural companies and their Nigerian counterparts including Aliko Dangote and John Coumantaros. The President restated his call on Nigerian youths to seize opportunities in agriculture, a sector of the economy he said was already proving to be the bedrock of the nation’s new economy. While stressing that planning in Nigeria must take into consideration the factors of climate change and a burgeon youth population, Buhari also promised the support of his administration in the promotion of skill development, innovation and entrepreneurship among the young population. Among those brought up for discussions were the three million tons fertiliser by Dangote, the largest in Africa coming on stream in July, to be followed by another one to produce 1.4 million tons of the commodity; a large-scale modern seed production company, and weed and pest management and chemicals products companies by the Americans.